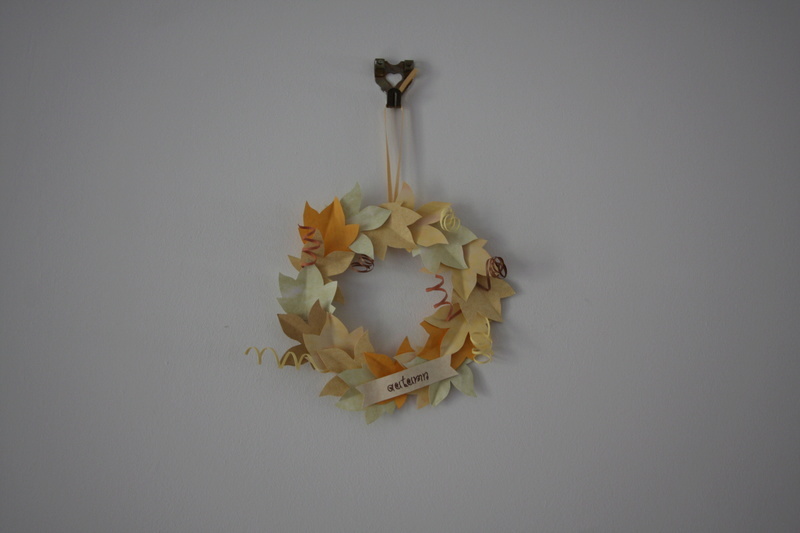 Did a second sample with some leaves made from book pages and a third with all book pages for the leaves - that one looked a bit gothic, so did a banner saying 'Halloween' and decorated it with bats. That's pretty, not too fiddly but looks good. Aw thats very pretty love the colours. Very autumnal, the curls are super, I'd be very happy to have that on my wall, that's not a hint. Another lovely item Lynda and given me an idea for a leaf die that I have! What a lovely idea. Where are you going to hang them? I'm not, Lorraine: they're going up in the loft with my class-tutoring stuff, in case I ever teach that again!